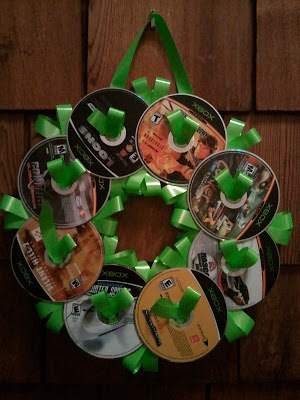 Oh what a geeky way to decorate the holiday! 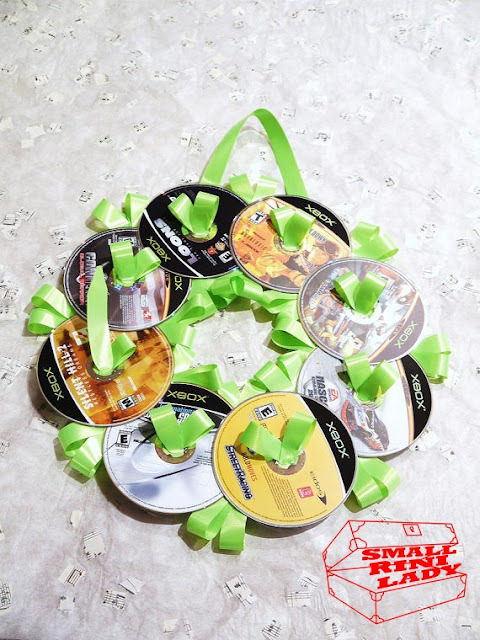 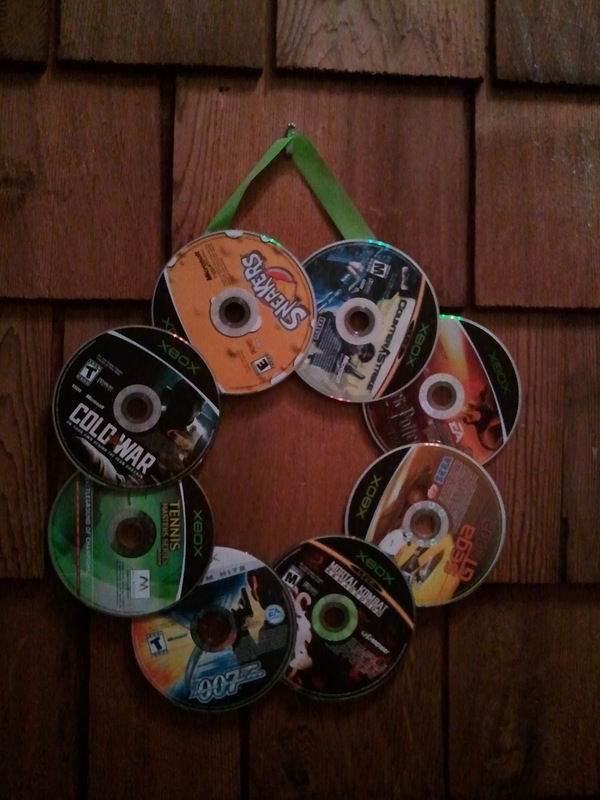 A Christmas Wreath to hang on your door. 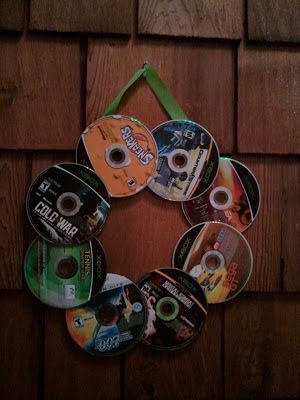 I think I'm going to bring it to work and hang it outside my office. 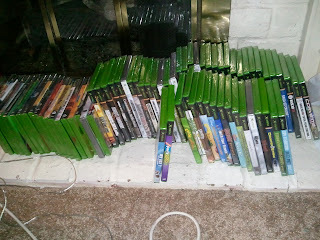 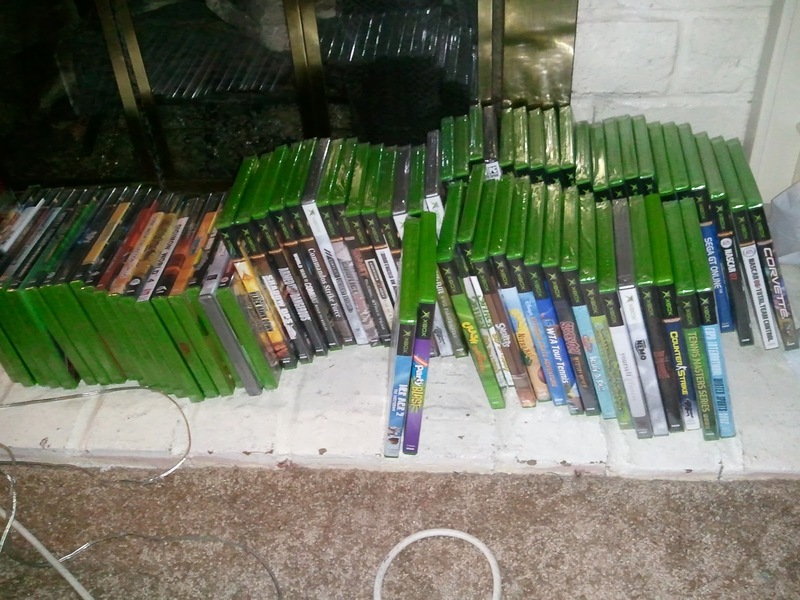 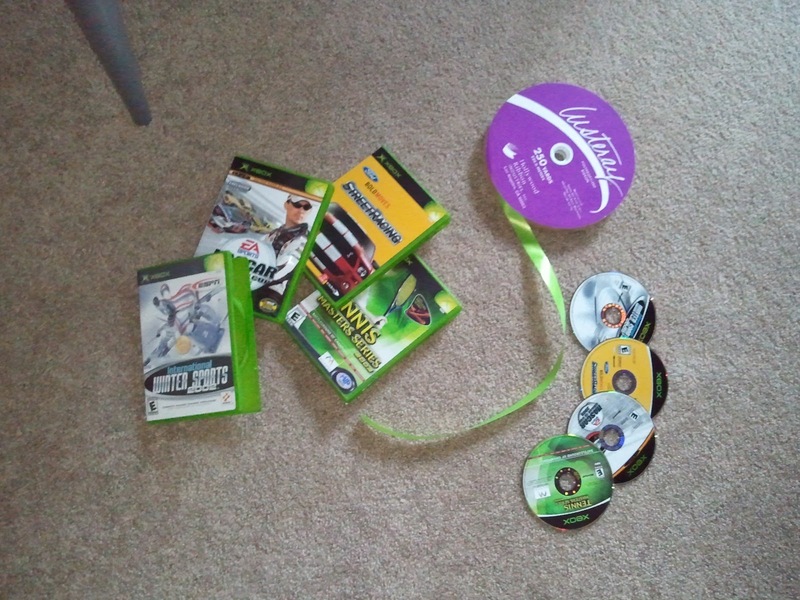 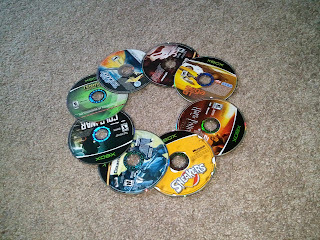 So I happened to have a excess stack of unopened Xbox games. So I thought, what can I do with it?